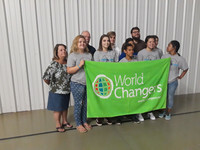 IGNITE YOUTH WORLD CHANGERS HAD A FANTASTIC MISSION TREIP THIS SUMMER IN BONNE TERRE, MO. WE BUILT WHEELCHAIR RAMPS, CLEARED BRUSH, PAINTED A PREGNANCY RESOURCE CENTER, AND HANDED OUT FLYERS FOR VBS IN THE AREA WE WERE WORKING. 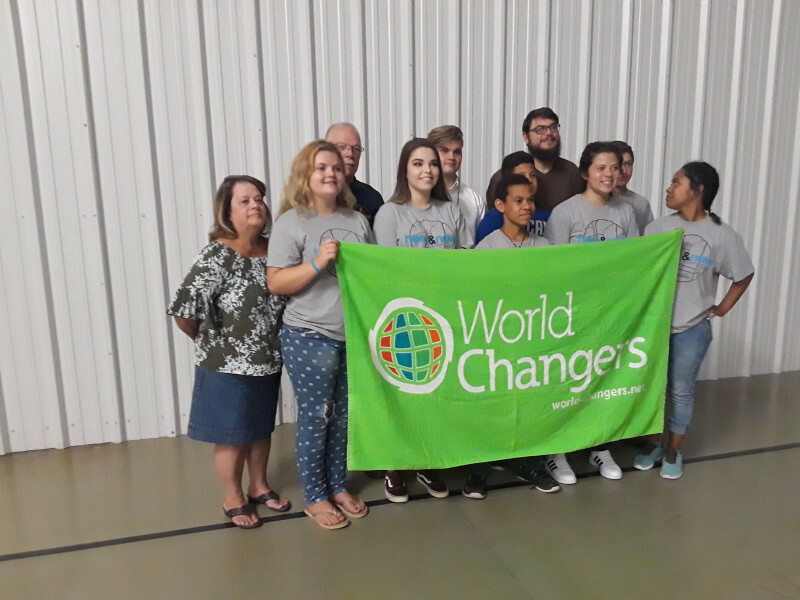 OUR STUDENTS AND ADULTS MET SOME FANTASTIC PEOPLE FROM SEVERAL DIFFERENT STATES AND WENT OUT AND SHOWED GOD'S LOVE AS WE WORKED, AND WITNESSED FOR OUR LORD JESUS IN SOME VERY TANGIBLE WAYS. THANK YOU TO ALL WHO GAVE SUPPORT IN FINANCES, PRAYER, AND EVEN A SIMPLE PAT ON THE BACK FOR OUR STUDENTS. LOOKING FORWARD, AND READY TO SEE WHAT HE LEADS US TO DO NEXT, HERE.